Add all the ingredients to a pot and cook over low heat until the plantains are soft. Allow the plantains to cool and serve with the syrup. This recipe is usually served with a piece of cheese or grated cheese. One thing I have a hard time finding in this country is the traditional candy from my home country. Usually my cravings are calmed whenever a friend comes to visit because I always ask them to bring me sweets. Over time I've become inspired to recreate typical desserts. Some require more time or fresh ingredients that are hard to find here. Fortunately, one of my favorite desserts is eat to prepare and absolutely delicious. 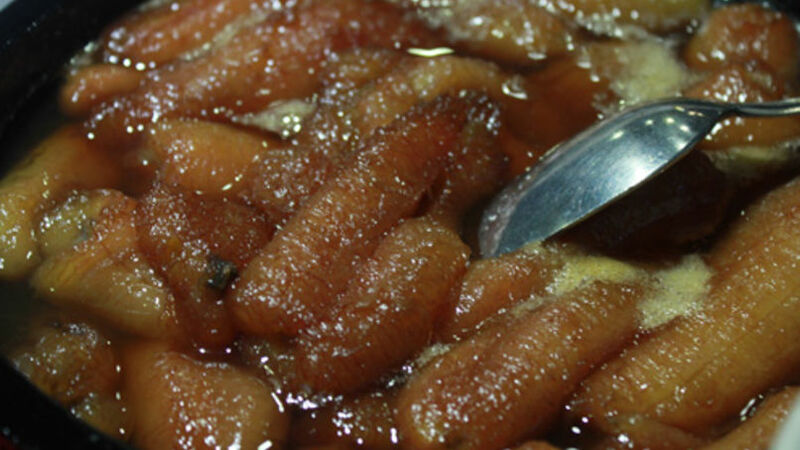 Candied plantains are typical in many areas in Colombia and other cities in Latin America, but its preparation varies by region.